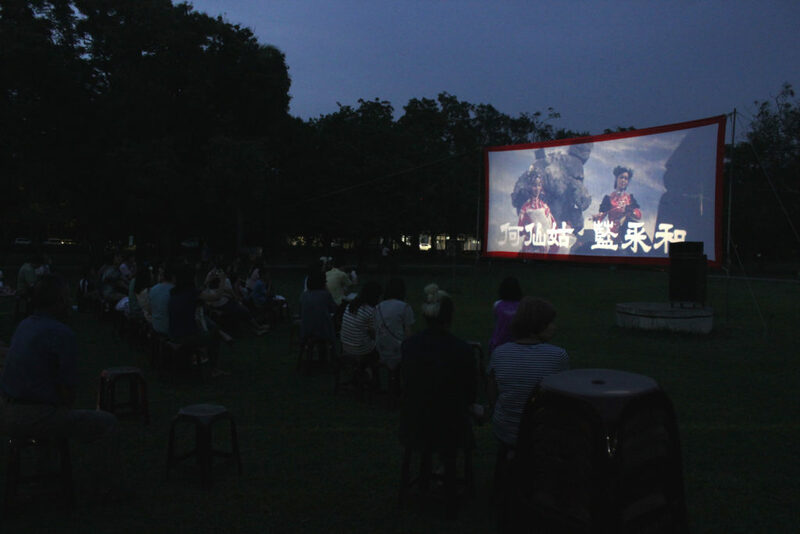 This special outdoor 35mm film screening took place in the Tsung-yeh park during my period as artists in residence in Tainan. 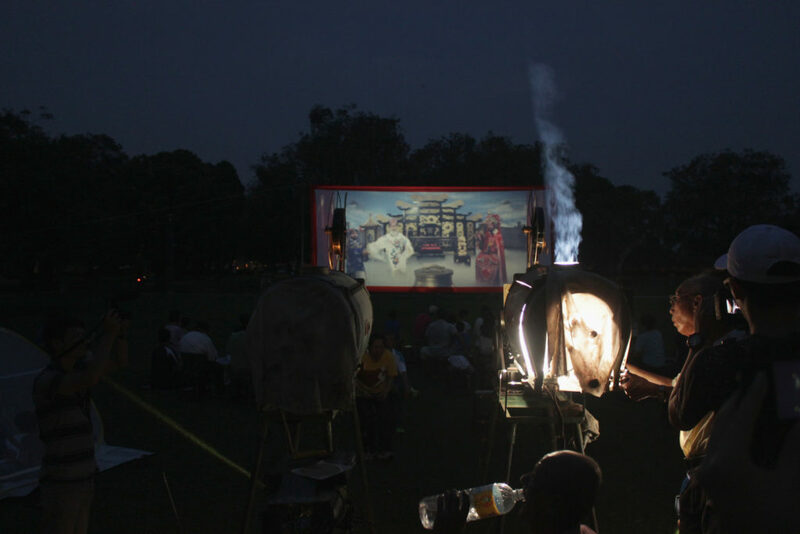 The event involved a programme of films drawn form the private collection of Mr. Hsu including short devotional film《醉八仙》/ ‘Drunken Eight Immortals’ designed for screening at Temples and the feature length Taiwanese fantasy film 《新西遊記》/ ‘New Pilgrims to the West (1982)’. 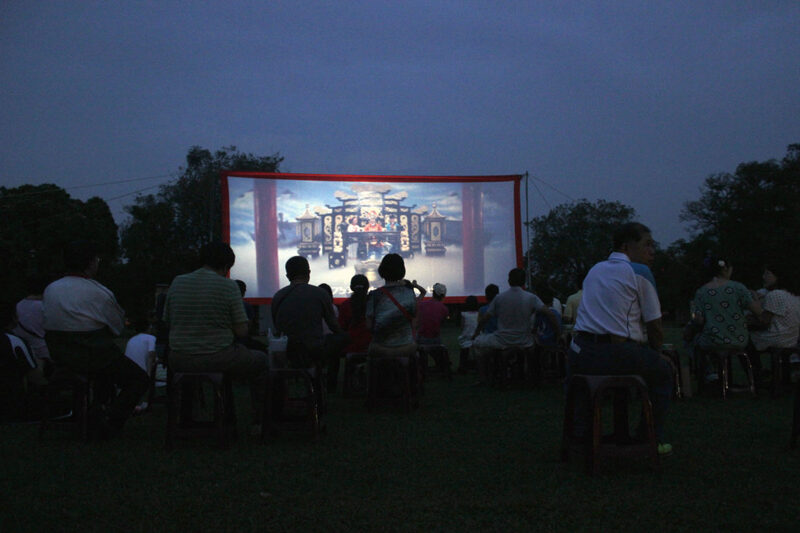 The event was chaired by Mr. Hsu in traditional ‘mosquito cinema’ style and concluded with discussion with him reflecting on the origins of this tradition. 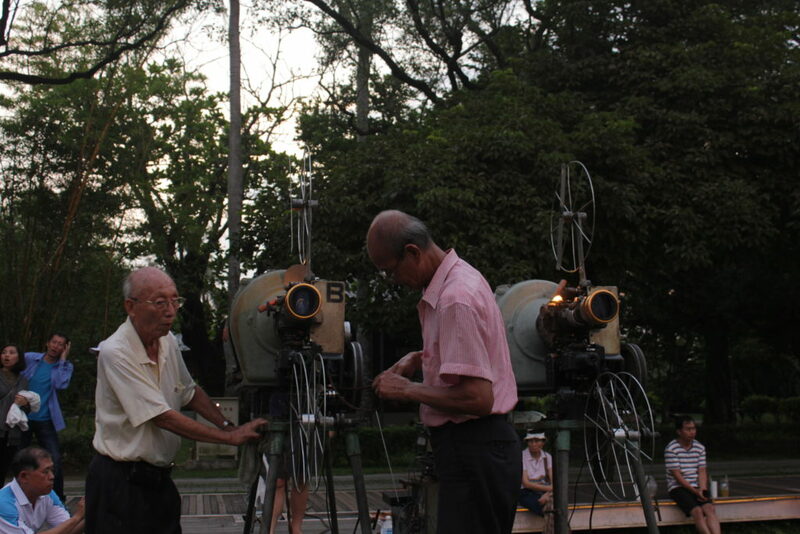 “In Taiwan we are not unfamiliar with the outdoor film projectionists and tradition of ‘mosquito cinema’. 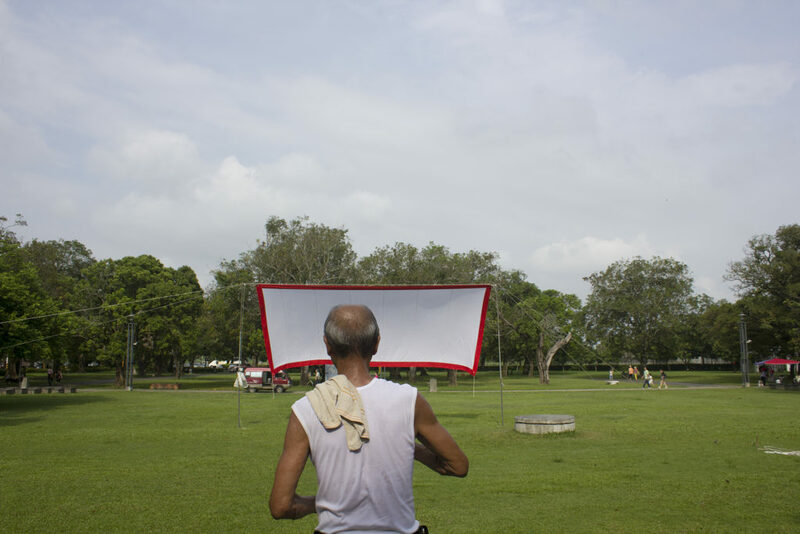 Before television and VHS arrived on this island, the outdoor projectionists were the busiest men on the street. In the 1980s illegal gambling “Da Jia Le” (which literally means “everybody is happy”) overwhelmed the island and was so popular that people went to temples to ask for luck and even went to the cemetery to seek help from ghosts. When the gamblers won they would hire the projectionist to screen a film to thank the gods and the ghosts. 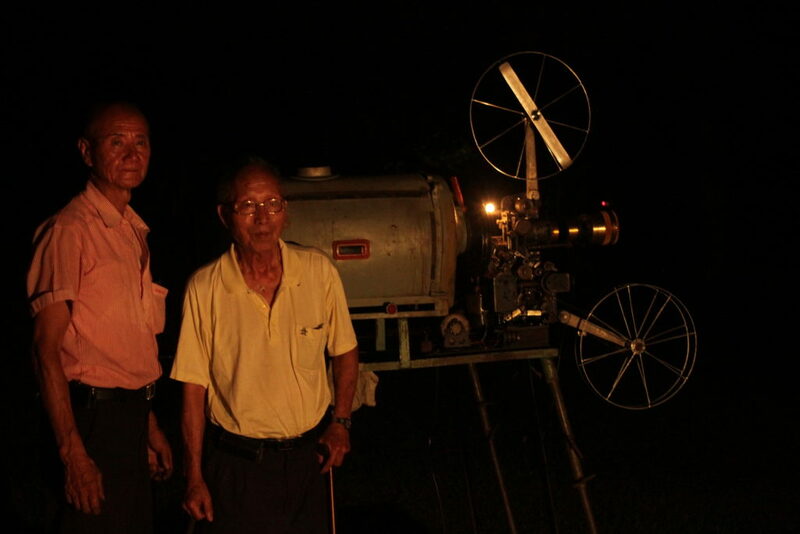 While researching this cinematic tradition we visited the studio and personal archive of Mr. Hsu in Pingtung, one of the few outdoor projectionists still active in Taiwan. He maintains a diverse collection of traditional celluloid film projectors and has been in this business for over 50 years, witnessing the rise and fall of mosquito cinema. 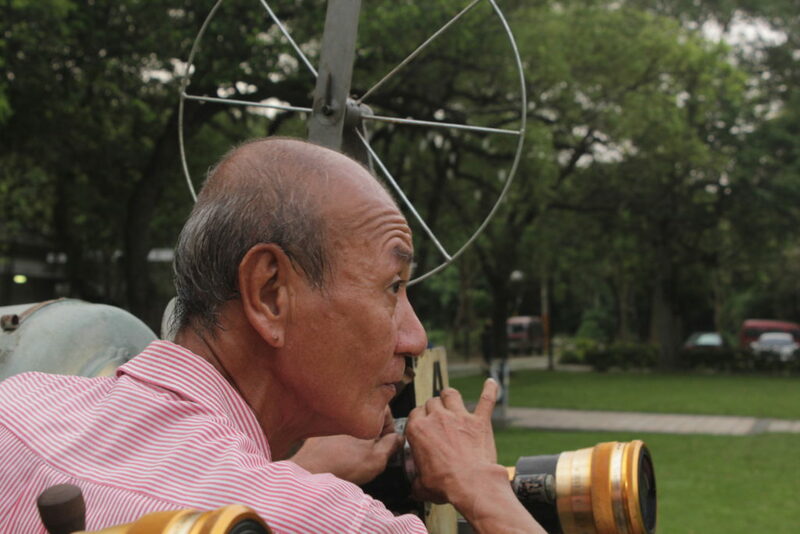 For this special event we have invited Hsu to screen a 35mm film that he used to play in the temple ceremony and share his experience as a witness to the history of the mosquito cinema.” – The Other Cinema Collective with George Clark. Thanks to Mr. Hsu, Yu ling Chou and Yaowen Hsu. Supported by Soulangh Cultural Park, Tsung-yeh Arts and Cultrual Centre, National Culture and Arts Foundation.